Lives of Leadership and Service! Over the last 30 years, Urban Servant Corps (USC) has deployed more than 300 volunteers into year-long volunteer commitments that have resulted in more than 800,000 hours of service to more than 75 non-profit partner organizations, impacting thousands throughout the Denver community. Urban Servant Corps deeply impacts the lives of those who participate in the program. After their year-long journey with Urban Servant Corps, our volunteers lead lives that are more compassionate, as service-minded community leaders, with a world-view that is focused on positive change. 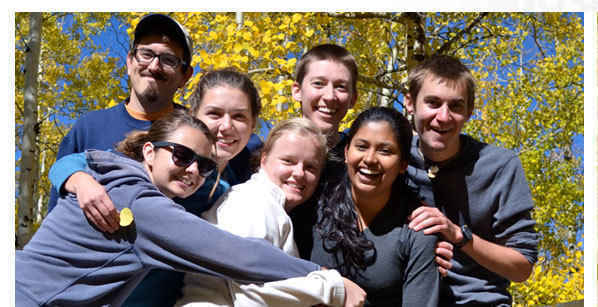 Urban Servant Corps has a profound impact on the lives of thousands of Denver's most vulnerable citizens. USC volunteers enable lasting solutions and long-term social change by filling in the gaps on mission delivery for multiple organizations. We have made great strides as we watch the "ripple" effect of the Urban Servant Corps throughout our communities. We are grateful for your connection to USC and we look forward to your continued support! Thank you for sharing your generosity with us! I love the Urban Servant Corp. I learned so much about service and intentional Christian community as a volunteer and I want others to have the same.